Eighteen years and seven albums into a frustratingly inconsistent career, fans could be forgiven for approaching any new release from Trivium with a sense of caution. The set of era-defining anthems penned on 2005’s Ascendancy was followed up by the bloated, incoherent hotchpotch of styles heard on its follow-up, The Crusade. The progressive, full-throttle double-whammy of 2008’s Shogun and 2011’s In Waves was counteracted by the divisive trad plod of 2015’s Silence In The Snow. A pattern has emerged, and for all the promise the band have shown over the years, surely, it’s time, eight albums in, to stand up and define exactly who Trivium are. The opening title track of The Sin And The Sentence will surely set some fears to rest, exhibiting two of the previously mentioned strong points of the band’s past, namely the huge fist-pumping arena metal grandeur of Ascendancy with the complex, technical metallic riffing of Shogun working in tandem to exceptional effect. It’s six and a half minutes that perfectly sets the tone for what is to follow. Second track Beyond Oblivion again clocks in way past the five-minute mark, containing a massive gang vocal that will sound glorious from festival stages the world over and a wonderfully slippery beatdown to blast riff that drives the whole thing along. New drummer Alex Bent also deserves the first of many tips of the hat for providing some excellently octopus-limbed fills whilst keeping a Godzilla-stomp beat, as all good heavy metal should. It’s around this point that you might wonder whether Trivium have, quite sensibly, decided to cherrypick the best parts of their career and mash them all together, but the next two tracks – Other Worlds and Heart From Your Hate – are both the kind of Black Album-esque radio metal that they aimed for on The Crusade. This time, though, they hit the bullseye, with the latter being particularly stirring, full of Maiden-esque melodic leads and a chorus that clings onto your brain tighter than Theresa May clings on to power. Vocal hooks have always been integral to Trivium’s best moments, and one of the reasons for the success of The Sin And The Silence is having it performed by an on-form and on-fire Matt Heafy. Much of the run-up to the album focused on a return to his screamed vocals, and while it’s a thrill to hear that patented Heafy throat in full effect again, it’s worth pointing out that his clean vocals work superbly in tandem with them, particularly on the surprising and dynamic Betrayer. 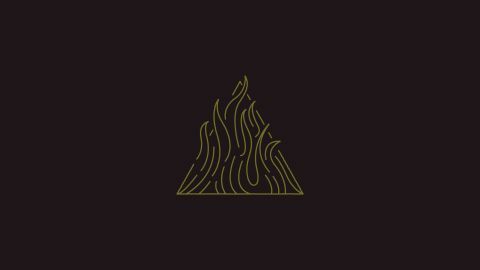 Each Trivium album has always had its own unique flavour, for better or worse, but The Sin And The Sentence is the first to meld every previous release into a ‘very best of Trivium’. From revisiting the modern tech metal heard on 2011’s In Waves (with an added touch of Pantera groove) in The SOFTWAREmark” gingersoftwareuiphraseguid=“f6c8aa5d-a41e-4518-8cdd-cca943136e9c” id=“126e0a74-188d-4b0e-990a-9566107148c6”>SOFTWAREmark” gingersoftwareuiphraseguid=“d6f6b30f-0a3d-4141-8c8a-047142ce8d6e” id=“f31f98a8-a29e-4c56-abad-1d0505e1d355”>Wretchedness Inside to the fact that, like Shogun, six of these 11 tracks clock in at over five minutes long, this sounds like a band determined to absorb all of their past and better it, showing once and for all who they are and what Trivium are: quite simply one of the best bands in modern metal.